An informational end-user site dedicated to the Cakewalk Project5 digital audio workstation software. Its purpose is to share tips, advice, and other information relevant to Project5 users. Take full advantage of the wealth of free information here. This free information is for you and by you--that is to say, we heartily welcome contributions. Software Updates helps you find descriptions and links to various updates to the software. FAQ answers frequently asked questions you have about the software. Tutorial List helps you get started using the software. Technique List provides examples of more advanced techniques and workflow ideas. Hardware List helps you integrate hardware with the software. Software List helps you other applications such as SONAR™ with the software. Books lists books topically related to the software and its components. Videos lists videos topically related to the software and its components. P5 Desktop Wallpaper designed by creative P5 users will dress up your deskop. 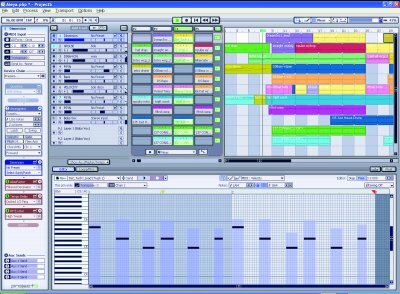 Synths is a short list of DXi and VSTi musical software instruments that users have utilized in their projects. Effects short list DXi and VSTi effects software that users have utilized in their projects. Project5™ Radio streams online music to you made by P5 users. 100+ P5 Users: Unofficial Guide to P5 User Music is a great list of some of the musical artists that have used P5 to create music. This is a sticky forum post in the Project5 User Forum at the Cakewalk User Forum web site.